COMING TOMORROW — START OF MY DECEMBER BAKING SPREE! 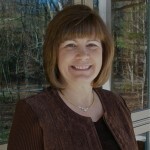 I am so excited about the recipes for this season. As if I am not excited enough — I am doubly excited about a giveaway I am doing during December. Do you like cookbooks? Do you have a cookbook collection? Do you buy a cookbook just to look at the pictures? I have four different wonderful cookbooks that I want to giveaway in December. But, I need your help! In order to be registered for the drawing, I need you to subscribe to this blog and then leave a comment on the designated drawing day. For instance, next Monday (December 5) I will post a picture of the first book to be given away. All you need to do is leave a comment that day to be entered in to the drawing. The “catch” is that we need to have 25 comments in order to give the book away. I ask you to get your friends, co-workers, mom, neighbor, anyone connected to cyberspace, to also leave a comment so that we can get at least 25 and give away the book!!! Easy as that! So get busy telling your friends to sign up, comment and let’s give away some cookbooks! 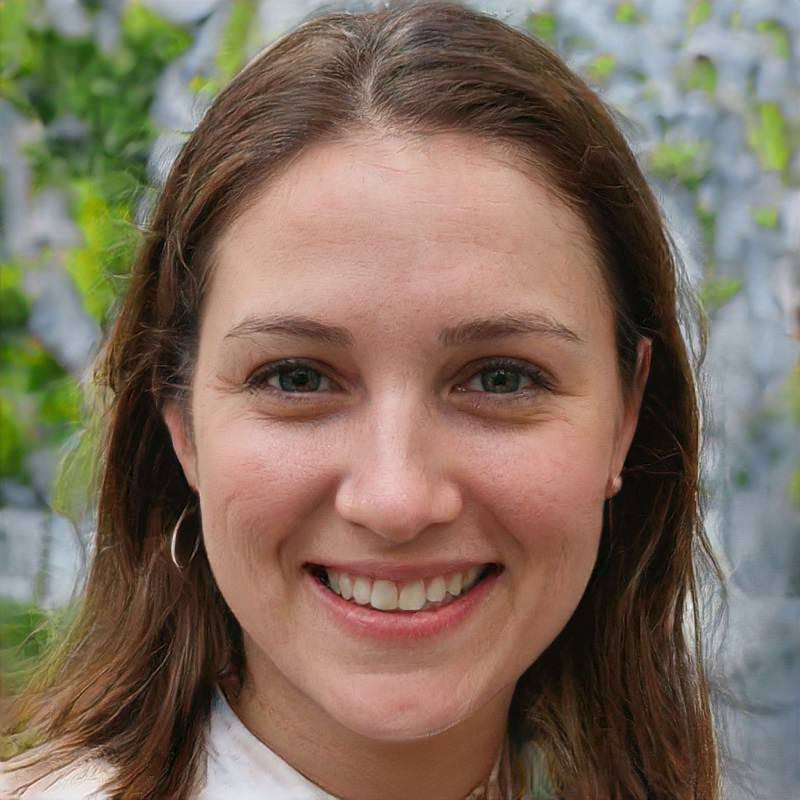 One of my favorite foodie sites is Brown-Eyed Baker. 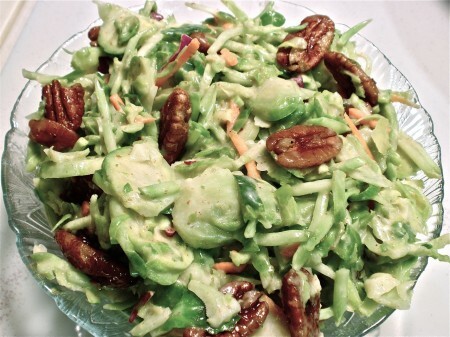 Recently she posted a recipe for Brussels sprout slaw. 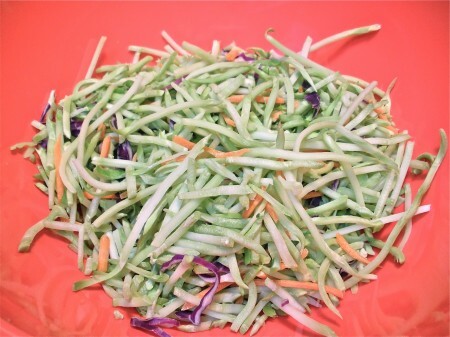 We love Cole slaw and I thought this sounded like a great new twist on an old dish. Turns out I was right. Not only is the dish colorful and tasty but the maple glazed pecans make the whole thing pop! I made two changes in the recipe the first adding a little bit of mayo to the mustard dressing. The second change, I added broccoli straws mixed with a little red cabbage. I think it made for a perfect combination. I hope you do too! Taking a quick look back to last month, remember these? 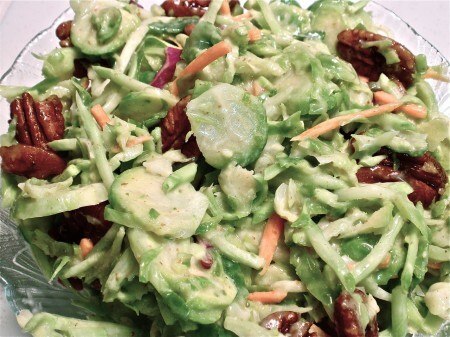 A new twist on Cole Slaw this colorful dish is made with Brussels sprouts, broccoli straws, and maple glazed pecans! Preheat oven to 325 degrees F. Place a sheet of foil on a cookie sheet and spray lightly with nonstick spray. In a small bowl, whisk maple syrup, ½ teaspoon Kosher salt and ¼ teaspoon ground black pepper together. Add nuts. Mix well. Spread on foil lined cookie sheet. Bake nuts for 5 minutes. Toss and bake for another 6 minutes until nuts are toasted and glaze is bubbling. Cool completely. This step can be done up to 2 days ahead. 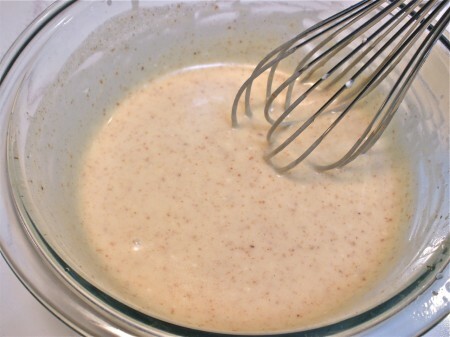 Whisk mustard, vinegar, lemon juice, sugar, and salad dressing in a small bowl; whisk in oil. Season with ½ teaspoon kosher salt and pepper. Set Aside. 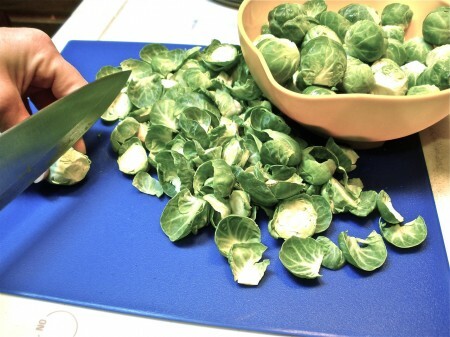 Wash and trim Brussels sprouts. Bring large pot of water to boil with 1 tablespoon kosher salt. Add Brussels sprouts. Cook until tender-crisp and still bright green, about 5 minutes. Drain, rinse in cold water. Cool on paper towels. 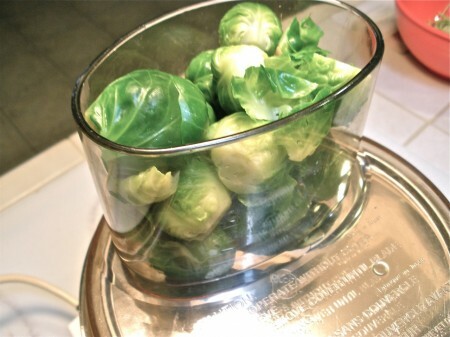 Using a food processor fitted with ⅛ to ¼" slicing disk, slice Brussels sprouts. (You can also use a sharp knife to slice thinly.) Transfer to bowl. 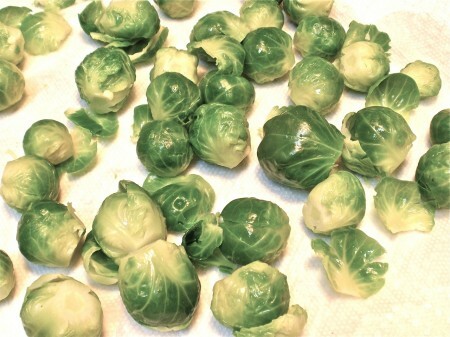 DRESSING and Brussels sprouts can be made 1 day ahead. Cover separately; chill. Toss Brussels sprouts and broccoli straws with dressing. Let marinate 30 to 60 minutes. 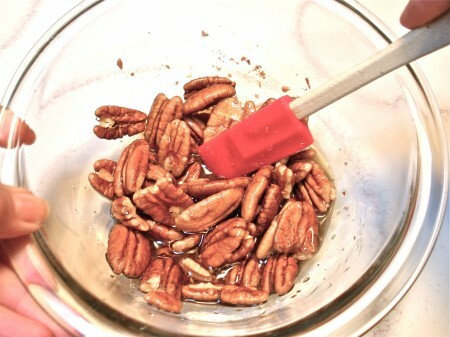 Mix in some pecans. Place slaw in a serving bowl. Top with remaining pecans. 1- Recipe adapted from Bon Appetit via Brown Eyed Baker, some changes made from original recipe. 2- Broccoli straws can be purchased in produce section or made by thinly cutting broccoli stalk into thin strips. 3- Salad dressing or mayonnaise sweetens the dressing just slightly making a perfect blend for the dressing.